One of our specialties is epoxy floor coatings in Allendale Charter Township, MI. 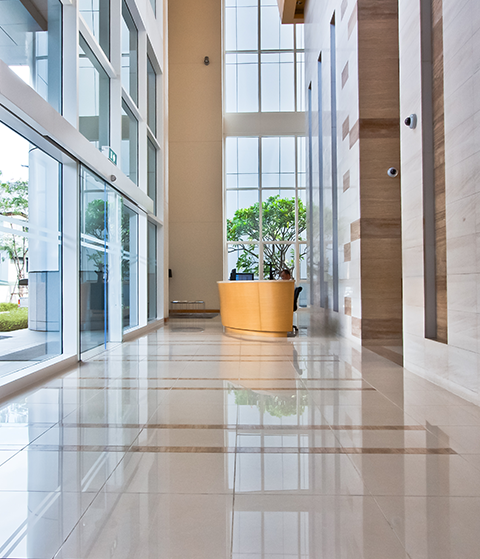 A great way to add flair and resilience to your floors, this service provides a number of looks and the strength of a material that's trusted in commercial environments off all kinds. It allows you to seal your floors, preventing scratches and moisture issues that might otherwise drag down your bottom line. Even the best coatings face the woes of wear over time. That's why we also offer floor stripping. Our professionals will remove the existing coating with no hassle or damage to the underlying materials. From there, you can choose whether to re-coat it with our services. Unsure if it's the right time to replace your epoxy? We can also advise you based on our years of experience in the industry.